Home Education Remembering Freshers Week 2017! 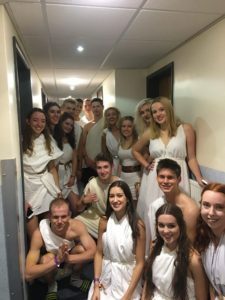 When Freshers’ Week 2017 came to a close and the infamous Freshers’ flu had kicked in, you would think it would time for a slower pace of life at Durham University. But you would be wrong! 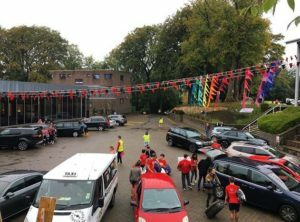 Freshers’ Week is packed to the hilt with stuff to do: during the day, nights out, College formals, movie nights, sports trials for both DU and college teams, subject induction lectures, all whilst trying to memorise millions of new names. But the bustle of university life has only just begun. We’ve hit the ground running and it doesn’t feel like we’re going to stop any time soon! The build-up… Am I nervous? Excited? Both? Who cares – I just want to be at uni! 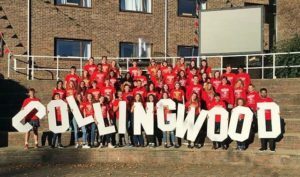 The build up to Freshers’ Sunday has been a long time coming – all of your friends have done their Freshers’ week and some have even survived a couple of weeks of actual work! I couldn’t wait to get to university – I’d been itching to move in for almost all of September and that only got more noticeable as the number of friends left at home dwindled. I think my parents had become slightly fed up of hearing me say “I just want to be at Durham!” Excitement really was my main emotion on ‘moving in’ day in October and the tiny butterflies that kicked in as we entered the city vanished as soon as I pulled onto Collingwood’s drive. It really hit me that I had no clue what to expect from moving in day as my parents and I queued to unload our overstuffed boot (don’t worry if you think you’ve packed too much because everyone has!) But this thought was quickly forgotten as one of the lovely Freps (Freshers’ Reps) in a Collingwood red shirt came over to us and I was suddenly walking my way up the drive towards Reception to collect my room key. The Collingwood buildings gradually came into sight all whilst classic hits were being blasted out by giant speakers sat in waterproof bubbles – the slight drizzle was not going to dampen anyone’s spirits! Every Frep, despite being stood outside in the cold and the slight rain all morning, was full of energy and smiles and an overwhelming welcoming feeling. My genuine first thought as I walked up the drive to Party in The U.S.A at full volume was “I’m home”. This is my home for the next three terms, my college for the next three years and the place where I knew I was going to have an amazing time with some amazing people. So much effort goes into every single second of Freshers’ week and it’s the older students I have to thank for that (thank you, 2017 Freps!) – behind the scenes blood, sweat and tears must have gone into such a mammoth task but we only saw smiles and laughter and a whole lot of fun. 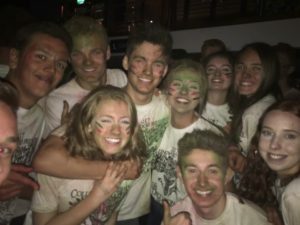 From carrying everyone’s hundreds of suitcases all day Sunday to organising some amazing nights – from paint parties to roller discos, open mic nights to pub quizzes, fancy dress formals to black tie dinners, and silent discos to slumber parties. There was always an opportunity to be doing something and meeting new people while you do it – none of this sitting in your room alone all day recovering from a night out with people you hardly know (human hungry hippos on Tuesday anyone? Animal petting on Friday? Zorb football on Saturday?) 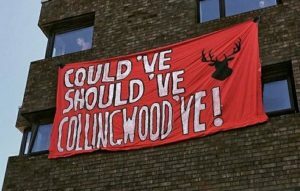 This is Collingwood. This is Durham’s college system. And when you get told that your college will be your family – it’s not just some cliché to describe a tight-knit community that goes beyond a halls of residence; it’s a genuine feeling. I felt like I’d walked into my home on Freshers’ Sunday and I feel like now I really am part of the amazing family that makes up Collingwood College*. 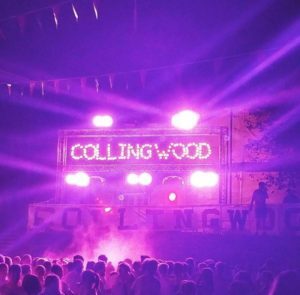 *only slight bias towards Collingwood intended – the college system really is great but I can only speak from my own experiences as someone living at The ‘Wood! You can now view our Welcome & Induction webpages which are full of information for freshers arriving this year! 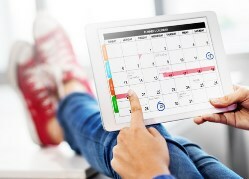 Including your induction planner where you can view your personalised timetable of events organised by your college and department. Interested to find out more about student life in Durham? Don’t forget to check out more of our Student Blogs. Hey, I’m Georgia! I’m a first year undergraduate studying English Literature. Despite just starting, I’m already a fiercely proud member of Collingwood College and have been in love with Durham University since I first visited. When I’m not trying to make my way through my huge reading list, I’m probably playing some sort of sport. Previous articleWelcome to all international students travelling to Durham!